Larry Evans was a well-known blackjack and chess player. 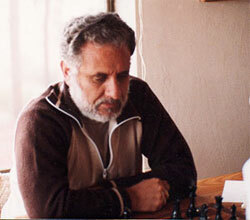 On 15 November 2010, he died at hospital in Reno, Nevada, which became a big surprise to the blackjack and chess community. What was the reason of his death? Larry Evans died from serious complications that were related to the gall bladder surgery. While being young he had already become a Chess Grandmaster. In fact, he wasn`t satisfied with the income he could get playing chess. He said that it was wrong excellent chess players were rewarded with a small amount of money. So, that poor profit he could make became the impetus to start playing in casinos with a view to earn some extra dollars. In the course of time he became a professional blackjack player, mostly known as a card counter in this game who used a certain blackjack strategy. He possessed an excellent mathematical gaming mind and a great logic that helped him to master blackjack game quickly and successfully. Larry Evans made his name in the world of blackjack in 1968. It was before the time when card counting became popular. He was a frequent blackjack player in Reno`s casinos in which he was a permanent player. In fact, we know that cards counters can`t stay uncaught for a long period of time. So, very soon Larry Evans was banned from most casinos. But the main thing is that now this prominent person is still famous all over the world for his skills and achievements.